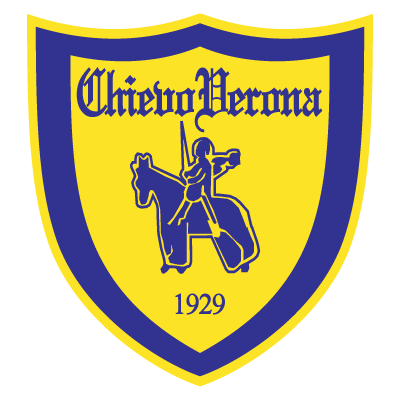 Chievo were formed in 1929 by a small group of football fans from the Veronese borough of the same name. Initially they played as an amateur side, competing against other teams after the players had finished their working day. Their first league season started in November 1931 when they were admitted into Italian football’s eighth tier. The team’s first incarnation didn’t last long, however, and financial problems forced Chievo to disband in 1936. It’d be a full 12 years before the team resurfaced in the regional Seconda Divisione league before league restructuring in 1959 saw them placed in calcio’s second-bottom tier. Chievo continued to hover around the pyramid’s lower ebbs until 1964, when businessman Luigi Campedelli took the club over. His arrival coincided with the beginning of of Chievo’s rise through the leagues, and by 1975 they were a Serie D (fifth tier) club. It took 11 seasons of midtable finishes before the team, then known as Paluani Chievo, could mount a serious promotion push, but they were eventually promoted to Serie C2 in 1986. Stringent stadium regulations in Serie C2 meant Chievo were forced to move across town and share the Stadio Marc’Antonio Bentegodi with city rivals Hellas Verona. Chievo’s fortunes only continued to sore, however, as they were promoted to Serie C1 under the tutelage of manager Gianni Bui in 1989. Playing at a higher level than ever before, Chievo changed their name to their current title in 1989 and finished sixth in Serie C1 in that season. Luigi Campedelli sadly died in 1992, but his son, Luca, would carry on his good work. Aged 23, Luca was Italian football’s youngest club president at the time, and his hand still guides Chievo to this day. Giovanni Sartori became Chievo’s Director of Football, and Alberto Malesani, a future UEFA Cup winner with Parma, was appointed manager. Malesani helped Chievo achieve a remarkable promotion to Serie B in 1994, but left the club in 1997 when Fiorentina turned his head. Nonetheless, Chievo did the unthinkable in 2001 when they were promoted to Serie A having finished third in Serie B. The fairytale became a national sensation. Sport pages were clogged not only with the success of Roma, that year’s Serie A winners, but also the “Chievo Phenomenom.” Coach Luigi Delneri had brought an unfashionable side who attracted no more than 4-5,000 fans per game into Serie A, and the fairytale has only continued to grow over the past ten years. History-wise I’m going to cut things short there. Chievo’s Serie A years have produced some great tales, and I want to explore them later this week. I don’t want to waste time repeating myself. A few notes on Chievo, then. They’re nicknamed the Gialloblu (“yellow-blues”) or Mussi Volanti (“flying donkeys”) depending on your preference. The second nickname is pretty funny: Hellas fans originally coined it, claiming “donkeys will fly before Chievo reach Serie A.” Chievo fans turned it around when the team reached Serie A and embraced it as Hellas flounded in Serie B and C1. Chievo don’t attract big crowds, and its only in the past decade that they’ve been able to regularly draw more than 10,000 fans to the stadium. Last season their average attendance was just 12,676, and its not uncommon for Hellas, who’ve played at a lower level since 2002, to attract more fans than Chievo. The Mussi Volanti haven’t had a great 2011-12 season so far. They’re currently 14th after 17 games, having scored a paltry 13 goals all season. That’s about all I can tell you of Chievo at the moment as I really don’t know all that much about them. More tomorrow. I’ve spent plenty of time writing about Genoa’s history this fortnight that it was only right for me to dedicate the last of my Rossoblu entries to the modern day Genoa. I feel like I’ve learned plenty about the club’s past but my knowledge of their current situation is still quite sketchy, so here we go. We’ll start in 2003 with the purchase of the club by toy tycoon Enrico Preziosi. These were dark days for Genoa: the club had been stuck in Serie B since 1996 and had gone through three different owners and four different chairmen in seven years. Preziosi hoped to stabilise the Rossoblu and bring them back to Serie A but his reign didn’t get off to the best of starts. Enrico Preziosi: saviour or lunatic? Genoa finished 18th in 2002-03: a position that would’ve seen them relegated if it weren’t for the football federation’s decision to expand Serie B to 24 teams. The Rossoblu were spared, but apprehension remained. Things started to improve, though, and Genoa finished 16th the following season before winning the league with 76 points in 2004-05. Allegations of match fixing arose, however, when Genoa defeated Venezia 3-2 on the last day of the season (a result that clinched the title). An investigation by the FIGC (Federazione Italiana Giuoco Calcio) resulted in the Rossoblu being found guilty and they were subsequently relegated to Serie C1. This was a huge blow to Preziosi’s Genoa, who’d have been promoted even if they’d drawn with lowly Venezia (who’d originally finished 21st). The Rossoblu had paid Venezia approximately €250,000 to ensure victory and started 2005-06 in Serie C1 on –6 points after losing an appeal. Preziosi, it seems, was (is?) quite a dodgy character. He was handed a five-year ban for his role in the allegations, but this was annulled on appeal in January 2006 in exchange for Genoa starting the following season with a three-point penalty. 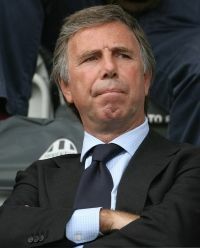 Preziosi was handed another five-year ban in 2007 for an abnormal transaction between Genoa and Como (who he also owned), but this overturned a few weeks later. Two more bans followed in 2008: two months for abnormalities in the sale of Domenico Criscito to Juventus and 10 days for an illegal approach for Siena’s Erjon Bogdani. Quite how this guy is still allowed to participate in football is beyond me, but this is supposed to be about Genoa, not Preziosi’s discrepancies. Genoa escaped Serie C1 on the first time of asking and overcame their six-point penalty to finish second. Back in Serie B for 2006-07, Genoa finished 3rd, 10 points above 4th-place Piacenza and second only to the Calciopoli-stricken Juventus and Napoli. This time they were promoted without question, and returned to Serie A for the first time in 11 years in the 2007-08 season. Their first season back in the big-time went better than expected and Genoa finished a highly-credible 10th. Never really troubled by the threat of relegation, the Rossoblu set-out a summer spending plan with the aim of securing European qualification the next year. The plan worked: Genoa finished 5th in 2008-09, beating Juventus, Roma, AC Milan and local rivals Sampdoria (twice) along the way. This turned out to be a career season for Argentine striker Diego Milito, who’d just rejoined Genoa from Zaragoza at the start of the season. 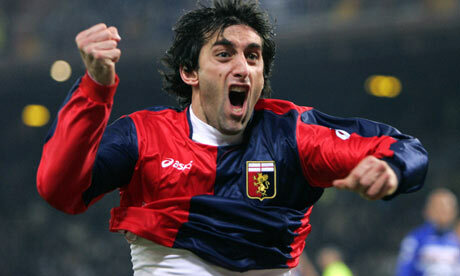 Milito contributed to Genoa’s cause with 24 goals in 31 appearances, and his outstanding form earned him a move to Inter in the summer of 2009. Diego Milito: a huge star for Inter today, but he came into his own at Genoa. 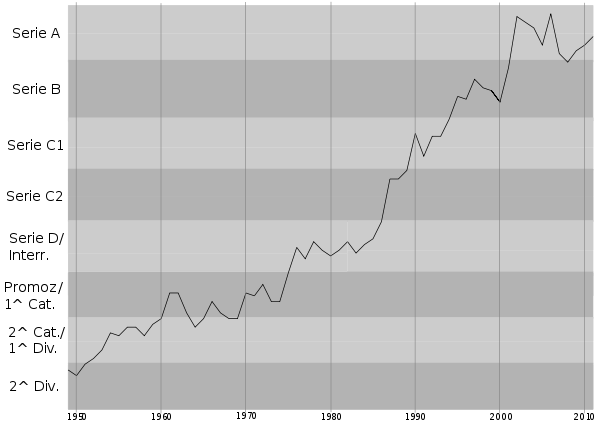 2009-10 didn’t go quite as well. Hernan Crespo and Rodrigo Palacio were brought-in to replace Milito but they only managed 11 goals between them. Thiago Motta’s grinta was hugely missed in midfield and the defence looked increasingly disorganised as the season went on. A last day loss to Catania saw Genoa finish 9th in Serie A, and their European return when they failed to progress from the UEFA Cup’s group stage. Last season was even more disappointing. The Rossoblu finished 10th and continued to struggle up front even with the likes of Crespo, Palacio, Raffaelle Palladino and Roberto Acquafresca on the books. The hugely disappointing Eduardo, whose constant clangers didn’t exactly help the Genoese cause, replaced Marco Amelia in goal, but it was manager Davide Ballardini, sacked during the summer, who paid the ultimate price. Genoa have had an equally indifferent start to 2011-12 and new boss Alberto Malesani is already under pressure. They’re currently 10th after seven games and have picked-up a paltry two points in their past 4 games. I watched their 2-2 draw with Juventus last night and they fortunate to escape with a point. Juventus squandered countless chances to extend their lead, and they’ll be kicking themselves not to have won. That’s not to say there weren’t bright spots for Genoa. Both of their goals were excellent, particularly Caraccioli’s dainty equaliser, and on-loan Milan midfielder Alex Merkel had a fantastic game as trequartista. Finally given a chance to strut his stuff, the German 19 year old looks a real prospect and it’ll be exciting to see how he develops this season. Palacio had a pretty quiet game by his standards but he’s had a great season so far. The Argentine is really coming into his own and has built on last season’s impressive displays to notch 5 goals and 3 assists in 7 appearances this term. 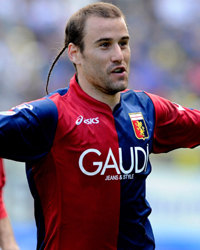 An excellent ball carrier and now a prolific goalscorer, Genoa will surely finish higher than 10th if Palacio can maintain his form. Elsewhere Miguel Veloso has been a rock in central midfield and young trequartista Cristobal Jorquera is showing lots of promise. Sebastien Frey is an excellent goalie, one of the most under-rated in Europe, and his presence should help improve Genoa’s defensive record. This is an exciting Rossoblu squad, but it’ll take some time before the players have properly gelled. Genoa have such a high turnover of players every year that it’s impossible for the team to live up to the owner’s expectations. Every summer they seem to transfer 20-40 players in and out of the club, and they’ve also gone through a whopping 9 managers since Preziosi’s 2003 takeover. Success requires continuity. Wanting to freshen-up your squad with a few new faces is all very well, but I don’t see the point in ripping your team to pieces and rebuilding every summer. Preziosi needs patience: this is a decent squad, and Genoa should finish well this season, but the club cannot progress without stability. Give Malesani a chance and supplement the squad with 3 or 4 new faces when summer comes around. Don’t rip the team’s heart out before it’s had a chance to start beating. This, in my opinion, is the biggest barrier to Genoa’s success. What I’ve read of Preziosi doesn’t exactly paint him in a positive light and I’m not expert on running a football club, but surely anybody can see that this is where their problems lie?